Easy brush-on application. Thicker formula is ideal for wraps and strengthening natural nails. 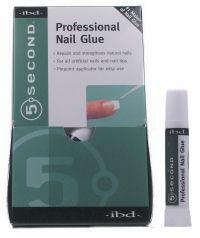 Gap-filling, eliminates air pockets and fill uneven nail bed. Adhesive holds its shape without running, and blends well with Filler Powders for maximum strength and flexibility. No accelerator necessary. Non-yellowing. The best adhesive for tip bonding! 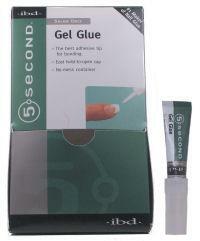 Quick-set adhesion in a gel glue fills gaps and is excellent for problem nails. The easy twist-to-open cap eliminates spills and messes. No. 1 selling polymer powder for nail repairs and strengthening of natural nails and nail tips. Repair nail quick and easily. 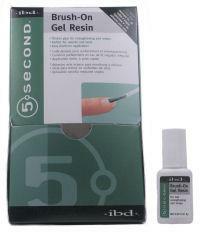 Instantly "fill in", strengthens, and protects the "seam or ridge area" of nail tips. Non-yellowing. 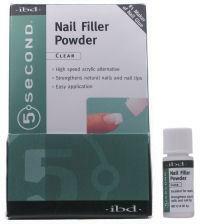 Together, 5 Second Nail Filler and 5 Second Nail Glue create an ultra-strong polymer coating that professionals count on to strengthen and protect nails. In a convenient bottle with shaker top. Perfect for repairing and strengthening natural nails. Also excellent for all artificial nails and nail tips. Nozzle extender included to provide glue control and pinpoint application for easy use. Comes with a convenient airtight storage case with stand. To prevent glue from drying and clogging, insert the glue dispenser pin (white cap) into the tip of the glue container. Glue tip extender helps to apply a fine glue line to the work area. Glue tip extender helps to apply a very fine glue line to the work area. 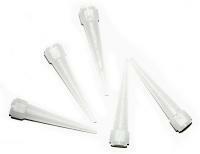 Long extender tip allows you to reuse by simply cutting off the dry end of the tip. All nail polish, including nightly formulations, may thicken near the bottom of the bottle due to normal evaporation of solvents. 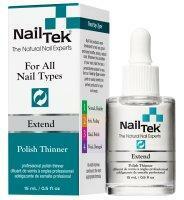 Nail Tek Extend is especially formulated to refresh and replace these essential solvents. With Nail Tek Extend, you never have to waste a drop. The only thinner which may be used to thin Seche Vite. 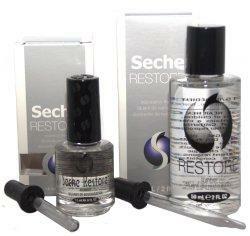 Seche Restore is the only way to restore Seche Vite to its original consistency. It may also be used to restore any other nail lacquer product whether one produced by Seche or any other brand. Seche Restore will not diminish shine or dull colors and only replaces those ingredients that have evaporated. Use by adding a few drops of Seche Restore and roll bottle slowly adding additional drops until consistency is fully restored.